Folk Music and Country Music — What's the Difference? How Is Folk Music Different from Country? Folk music and country music sound a lot alike. You can recognize the same melodies and the storytelling lyrics as you move from one genre to the next. There are also a number of musicians who dabble in both styles. Yet, is there a difference between the two? In reality, the line between folk and country is not well-defined. Let's explore what makes them simultaneously unique and similar. First of all, it's important to answer the more pressing question: What is folk music? There is no hard and fast rule, but generally speaking, "folk music" refers to a style of music that is universal within a community. It can be performed by people who aren't necessarily trained musicians, using whatever instruments are available. Both country and folk music have their roots in the story-song tradition, particularly in rural communities. 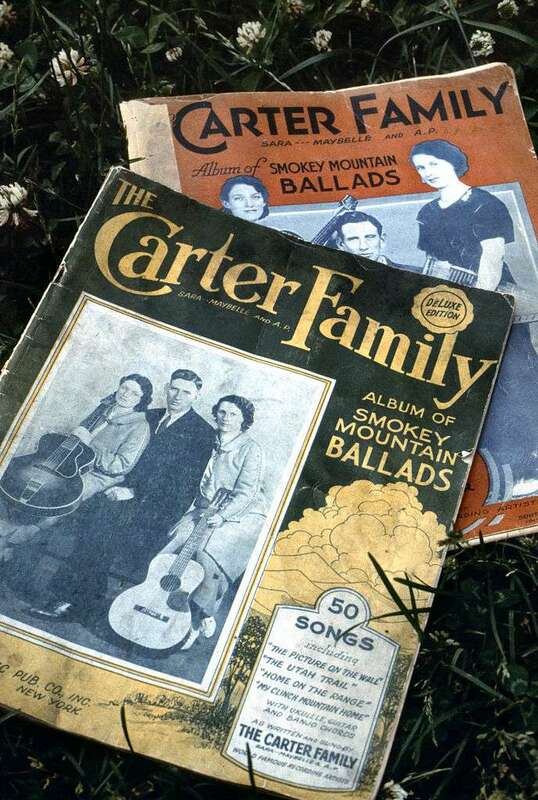 If musical styles have ancestors, the common ancestor to folk and country music would be the Carter Family and Jimmie Rodgers. Both were Depression-era folk artists who helped popularize rural music to folks in the cities. Artists from Woody Guthrie to Johnny Cash have taken great influence from them (not to mention borrowing melodies and lyrical allusions). As they grew and evolved into the mainstream, both styles have managed to maintain their original integrity in their very tight-knit circles of devotees. Many country traditionalists would say the new Nashville sound isn't real country, just as many folk traditionalists bristle about calling someone like Jewel a folksinger. Some of folk music's greatest contributors started their careers in what have been called "country western" bands. Woody Guthrie, for example, was in the Corn Cobb Trio in Texas before forging his career as one of the most storied American folk artists. It could be argued that, before the mid-century folk revival, the line between folk and country music was thin and barely visible. The main difference is that folk music is a far more overarching term than "country music." Country music is a style of folk music, as is rap, Celtic music, bluegrass, Cajun music, old time, and the blues. Country music evolved out of the folk music tradition and continues to influence it in hindsight. However, much of contemporary country is far more relatable to pop music than to folk. The difference is the involvement of big business in the development of the careers of country stars. Folk artists occasionally find their way into the mainstream music industry machine. Yet, for the most part, folk music is a sub-corporate genre more concerned with community involvement and speaking for the people than it is in record sales and image consultants. A good analogy is the way language evolves into accents and slang terms. When an American moves to London, they may not acquire an English accent, but sooner or later they'll start utilizing phrases typical in the conversations of Londoners. At its core, country music still maintains a lot of these down home values. At the same time, the level of its mainstream popularity has taken it in an entirely different direction from the other styles of rural traditional music still referred to as "folk music." Much of this came from the evolution of the Nashville sound, around the same time that folk music was focusing hard on its social conscience (mid-20th century). As Nashville grew, and the influence of the Nashville sound increased, so did the Nashville arm of the music industry... hence the separation of country and folk. Can Someone Be a Country Singer and a Folk Artist? Absolutely. Many artists have crossed back and forth so often that they are embraced both by Nashville and the greater folk/roots music community. Emmylou Harris is an excellent example, as is Willie Nelson, Johnny Cash, and Mary Chapin Carpenter. Jewel started out singing country music and has also been known to refer to herself as a folksinger as often as a pop star. Brandi Carlile and Lucinda Williams have also sung country music, and now occupy that very vague area of emerging folk music typically called "roots." In other words, there's not an enormous difference between a country singer and a folksinger. But most people know the difference when they hear it.